Starting up a business and keeping it running towards success requires a feasible and well-thought-out plan of branding and marketing strategy. In these two elements, are various sub-elements that play different yet significant roles in growing your company, and one of them is your signage designs. Did you know that your signage design creates an impact of 31.8 percent in sales volume and 47.7 percent brand awareness effectiveness? Right from the treatment, your customer receives when they enter your store to making use of your signage design, all of them is to be used as nutrients for your business’ growth. Actually, many stores use signage design to their advantage by placing eye-catching signages to convey a brand message to the audiences. 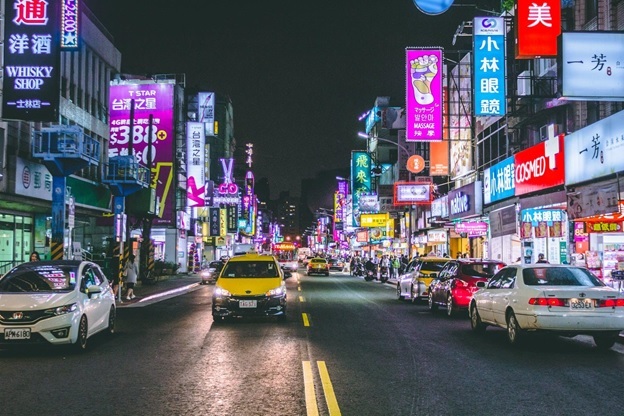 Given the shown data above about how signages affect business, it is not a question why more and more companies are embracing creative signages to attract attention and leverage up-sells, influencing a customer’s purchasing decisions. Thus, you should research first on what are the aspects to be kept in mind when creating signage designs and how you can make sure that it is aligned with the brand personality of the store. If you are running out of ideas, then this article might help you by pointing out the best signage designs that you could get inspiration from. So, sit back and let’s discover what the top signages design that would fit your business well are! Signage is defined as any visual representation wherein it gives the information needed by the customers about a store, building, office, street, park, and any places that signages are required. In conclusion, signages help out any person to quickly reach their desired destination or be able to locate an area without any hassle by merely following the instructions displayed on the signage. Branding and Visibility. It is common knowledge that customers are more likely to buy from a business when they have heard about it from friends, relatives, or social media. Thus, you need your signage to be prominent and eye-catching, especially if you are still new in the business world. Your signage is your ticket way to expose your business to your potential customers, who may be your customers over time and may become those who will help you build a strong brand. Functionality. As what was said beforehand, your signage also acts as a direction to help direct people to your business and merchandises, as well as informing your customers when you have any promotion or sale. With this, you can help raise awareness of the marketing activities that you are having and improve your customer’s experience. Distinction. The business industry is full enough that you’ll surely have direct competitors competing with you from your customers to your sales. Thus, your signage will come to your rescue and differentiate you from the rest of your competitors, making you build a truly unique brand. Remember, you should aim for more distinctive signage to highlight your unique point so that you will stand out from the rest of the stores. Are There Any Signage Design Tips? After knowing the importance of signage in your business, let’s discuss further tips in making your signage attractive towards your customers so that you may be able to lure in the potential customers and increase your sales. Ready? Here are the signage tips that would help you out. Choosing the Right Color. Colors play a huge role in making your customers head to turn your way. Think of McDonald’s yellow M or Coke’s dominant red, both giant companies seemed to have taken over the colors and made them their own that when customers see the color’s logos, they can tell the brand right away. This can be scientifically proven through color psychology studies wherein it has been shown that 80 percent of the trademark’s recognition is due to its color. Another important consideration in choosing the right color for your signage is incorporating trendy colors. You may feel that you need to use the current modern colors. However, you should be cautious in choosing these types of colors since its trend might not last long. Legible. Your sign should be readable, even from a few meters away. With this, the contrasts of your signage usually determine its readability. Therefore, making it a huge factor for any engaging sign. The director of strategic initiatives from the International Sign Association stated that the contrast between the text or graphics in the foreground and its background is critical to the audience’s retention for the content. As an example, if your text is white, then opt for a dark color as its background to highlight the text and make it readable, then vice versa. On the other hand, if your color contrast is weak, then you can always strengthen it out with an outline or a drop shadow around the lettering’s foreground. Also, adding a border around the graphic or text’s area will increase the reader’s reading speed. Sizing. Knowing the exact and proper size of your sign is essential to its readability. If you thought that it is just a minor element and is okay to be overlooked, then think again. Sizing matters, and the larger the letter, the easier it is to read. Of course, this is especially important if you are thinking of putting it in a wide area like roadside signages which is to be displayed at a significant distance. Not sure about its sizing? No worries. There is a good rule of the thumb that you can follow wherein 10 feet per inch of the letter’s height is recommended, making those letters with that sizing have the best impact at a hundred feet distance. Also, remember that the typeface that you choose affects legibility. You may want to use that flowery script to deliver a message of a particular style. However, it may be difficult for your customers to read it over far away from viewing distances. What are the Top Signage Designs for Inspirations? So, after we have discussed tips in creating your signage, let us now go to the main topic of this article which is about the signage designs that you can use as an inspiration for your business’ signage. Want that visual impact? Then Microsoft’s identity signage would be the best one to take inspiration from! Microsoft’s signage is an excellent role model of how you should make your signage curry the favor of its audiences for visual impact. 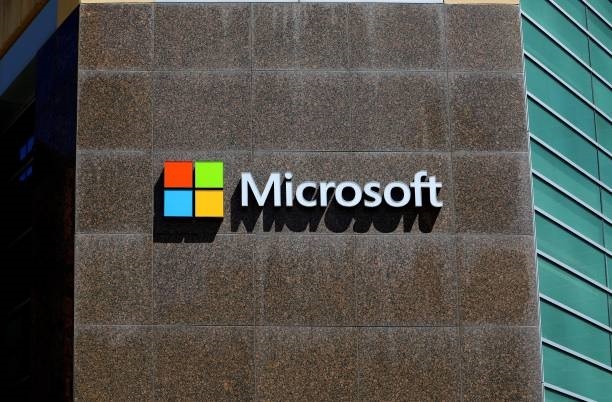 In their signage, it shows the four Microsoft windows which are of bright colors that illuminate the company’s signage, even more, making it visible and readable even from a great distance viewing. With the fierce competition going on in the cell phone industry due to the many rising of competitive brands, it would be no wonder as to why Apple would plaster a privacy ad signage campaign which highlights their phone’s unique specification of making sure that all the information inside the Iphone’s owner would stay private. You can take their signage as a perfect example of sympathizing with the crowd since the privacy information of the owners of the cellular phone has been quite an issue these days especially with the news of information leakage. In this case, apple reminded the consumers that their products are still the best quality and could help ease the consumers’ mind, making their sales even on top of the game. The signage that the Mercedes Benz speaks volume about how the company cares for its customers. By putting an image of a brain, incorporated with eye-catching colors, the company has successfully delivered a message about the thinking that goes behind the design and the production of the cars that the company produces. Through this signage, Mercedes Benz has made it loud and clear that they are a company that cares for their customer’s convenience. Who wouldn’t look twice and would think thrice to donate when there’s signage of a poor and adorable elephant cramped up in a small space? Surely it would tug your heart, right? In the signage campaign of Zoo Zurich, they have successfully conveyed a message that their zoo is in need of more donation. In this way, they have caught the attention of people immediately and urged them to donate for the welfare of the animals. A primary television channel from the Catalan public, the TV3 signage has made the eyes of the viewers turn their way through the signage design of the company wherein it shows of a man being interrogated in a cell. This has been creatively done well that no words are not needed, wherein the graphic conveys a message of the making of a tv film. Simple yet aesthetically pleasing to the eyes, this signage design has been one of the most memorable designs that still lingers in our memories. The lettering used in the signage was artistically depicted as an image of milk in your mind wherein the letters are designed as a white color which flows to create the word “Milk Bar” —which speaks for the business. Creative, informative, yet simple, these are what the Hotel Voskresenskoe’s Wayfinder Signage is, wherein there are only the symbols that deliver a message to the viewers. Their signage has the image of a glass of a soft drink and a ball game which indicates the direction for these facilities. There is also a blue with waves sign which indicates the swimming pool area. With this kind of signage design, they utilized the key to creating impressive signages. Big and bright, the Fernwway South’s Wayfinder signage is one of another uniquely designed signage which attracts people due to its size and bright red color. With this, people will flock to the signage and can easily find their way to their desired location. “Bring on the Night” this signage was intended for a specific target market, which are young customers. This company that sells vodka made their campaign signage to be in neon lights, which are often used for night parties, and due to its beautiful and funky vibe, this directs the message to the young ones and night parties, which is their campaign for business promotion. Mysterious yet straightforward, making the customers wonder because of the sign of a hanger by the side of the door. This spa’s iconography conveys a message to the viewers that it is a spa with the arrow, white and blue color, and a black door which has contributed to a witty and excellent signage. Simple yet effective, the PM24 or Philippe Mouchel restaurant has impressively incorporated their name and their location to the signage, which makes it easier to locate and be known by the customers. Their white letters and numbers contrasting the black background make it clearly visible from a distance making it efficient for the restaurant and its customers. Overall, signages are not always about the extravagance; instead, being simple yet effective is the best way to make your signage design. With the examples of inspirations above, it is conveyed that your signage should be able to speak volume of your company’s brand personality. With this being said, you should opt for professional signage advice like https://www.shieldcoart.com to be guided thoroughly with your business’ signage.